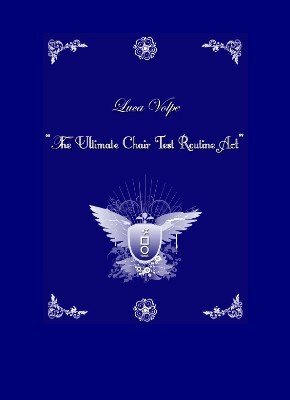 This manuscript contains Luca Volpe's best stage routine, but pay attention as it is NOT just a simple chair prediction routine, this is a COMPLETE ACT of 8 minutes that will leave your audience blown away! We will not describe the effect here as it is so well conceived and well structured that you need to read the manuscript to believe it. The only thing that we will say is that you don't use N.W. or anything like that, the envelopes genuinely have the numbers printed on them and it involves a method so bold that I am sure you will love it. Luca Volpe has for the majority of the time performed this as a stand alone piece for TV guest appearances or corporate events because it is so strong that you can't do anything else after it. So, if you want to 'kill' your audience with a strong multi-phase stage chair routine and get a standing ovation, this is the chance to get your hands on the manuscript. In the manuscript you will find not only the routine and the method but all of the script and bonus tips to enhance your performance. The ultimate chair test routine act includes a serial number revelation connected with a combination lock routine. A four chair prediction in which the spectators choose envelopes with printed numbers - a bold method is used. For the finale you are also able to predict what one of the chair test spectators will be wearing and give him a descriptive prediction of his personality. And much more...!